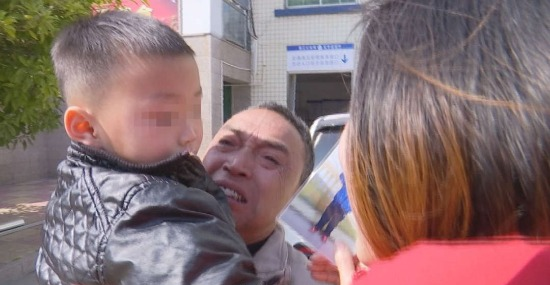 A boy who was sold by his parents for 120,000 CNY ($18,000) has been reunited with his paternal grandparents after a year of separation just in time for Chinese New Year, according to the Beijing Youth Daily. 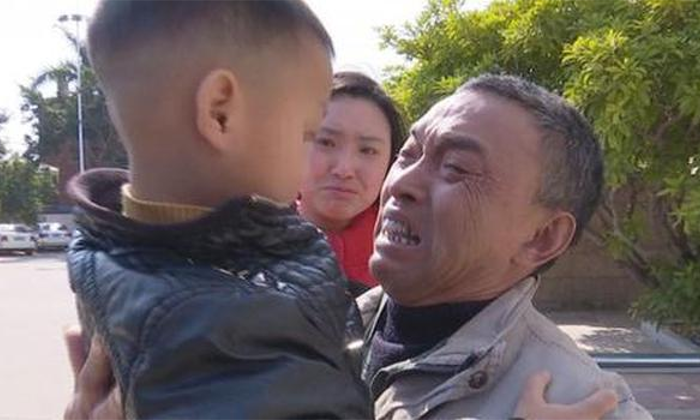 The grandfather, 55, surname Feng, said he cried with joy to the point of being unable to speak when he was finally reunited with this grandson. Feng had searched long and hard for his grandson for over a year. Feng’s son, the father, is suspected of being involved in human trafficking and was already in prison on drug trafficking charges when his father came to him demanding to know what had happened to his grandson. The boy, given the false name Howie, was born in July 2015 and was primarily raised by his grandparents in a town in Fujian Province in China. Feng told the Daily that Howie’s parents had raised their boy for the first 8 months after he was born. After the mother weaned Howie off breastmilk, she began leaving Howie with Feng and Howie’s grandmother every day. It was not uncommon for the mother and father to come to Feng’s house to take Howie for the day but they would always return him in the evening. On Jan. 14, 2018, the parents took Howie but Howie was never to return. Feng later found out that the parents had met in a park with another husband and wife who were likely never going to be able to have their own children. They had already been married for several years. Howie was sold for just over $17,700, which the parents split between themselves. After three days of seeing neither their grandson nor the parents, Feng and his wife had become worried. They began asking around about the parents whereabouts, which turned into a year-long search. “They said they are the child’s parents; how the child should be handled is their right,” Feng told the Youth Daily. Feng said that he and his wife had given Howie all of their love. “When I went to work, he’d tell me to drive carefully. After eating he’d bring me a cup and pour me a drink,” Feng told the Youth Daily of his time together with his grandson. Feng’s search continued without result until he heard that his son had been arrested for drug trafficking. Feng had a plan, “If I can find my son, I can find my grandson,” he told the Youth Daily. The father was being held in jail, awaiting trial. After successfully pleading to see his son, Feng had the chance to ask what happened to Howie. However, the father didn’t tell Feng where Howie was. Only after being sentenced to prison and meeting with Feng once more did the father finally explain what had happened to the boy. The father told Feng about the sale and Feng then reported the sale to the police on Dec. 25, 2018. On Jan. 16, the police found Howie and arrested the buyers. Howie had been with the adoption family for just over a year. After DNA testing, Howie was confirmed to be the grandson of Feng and was returned to the grandparents. The timely reunion came right before the Chinese Lunar New Year, the largest festival held in mainland China, which saw celebrations on Feb. 4. Unfortunately, records regarding the frequency and scope of child trafficking in China is rare but according to estimates cited in a 2015 report by Quartz, it is likely that anywhere between 20,000 to 200,000 children are abducted every year in China. These children are either sold into forced labor or to ‘adoption brokers’ who source children for willing to participate. Although some of these trafficked children are abducted from public places, Quartz reported that, according to Chinese public court documents, child traffickers quite often operate with the consent of the child’s biological parents. Reasons that motivate some parents to sell their child in China range from being unable to afford the financial burden of food and tuition, to parents seeing their children as a source of cash, according to Quartz. Chinese media Southern Metropolis Daily reported a case of a couple in Hunan Province who initially sold their second child due to financial hardship for 6,000 yuan ($890). But the couple then went on to sell their third and fourth children to keep the cash rolling in. The couple were eventually caught by authorities and the father sentenced to six years in jail with a fine of 20,000 yuan ($3,000), reported Quartz.